News from the ASM Program Committee – Building Bridges to 2019 and Beyond in Montreal! Rheumatology is all about “Building Bridges.” Few specialties are more active in forging relationships among patients, professional care providers, the public, government and policy-makers, advocacy groups, research initiatives, education leaders, among others. Only a few blocks from the Jacques Cartier Bridge in Montreal, we come together again at the Fairmont - Queen Elizabeth hotel for the 2019 Annual Scientific Meeting (ASM) of the Canadian Rheumatology Association (CRA) on February 27-March 2, 2019. Canadian and international colleagues in rheumatology will be treated to an exciting and interactive opportunity to engage with new science and emerging themes in rheumatology in the wide-open, newly renovated QE hotel. Several exciting accomplishments have been propelled by the Scientific Committee this year, including development of an advanced curriculum for the Indigenous Health Initiative (IHI). Co-chairs Dr. Cheryl Barnabe and Dr. Lindsey Crowshoe have tirelessly built bridges toward a better future through this program. The IHI will feature a “train-the-trainer” workshop during the pre-meeting agenda on February 27. Dr. Ron Laxer led an initiative to establish a partnership with the Journal of Rheumatology to ensconce the proceedings of the Dunlop-Dottridge Lecture. The lecture is an auspicious distinction bestowed on career rheumatologists who have advanced the field. The 2019 ASM will also feature a new “State of the Art” Workshops track with exceptional content provided daily, developed by world leaders on practical clinical topics for immediate applicability to clinical practice. Another new session will spotlight the success of the CIORA granting program, a long-running, national initiative supported by the CRA and its partners. Trainees can expect another fantastic opportunity to learn from the best during the Resident’s Review Course and will provide top-line learning points for attendees during the Mysterious Cases and Clinical Pearls session, which has become a perennial highlight of the ASM! The Scientific Committee is very pleased to present an outstanding meeting and world-renowned speakers at this year’s ASM. 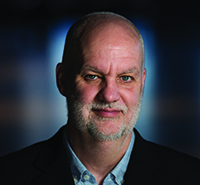 The 2019 ASM will feature three keynote addresses by internationally recognized figures including the Globe and Mail’s André Picard who will kick off the ASM on February 27. 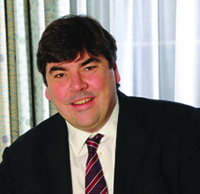 Myopathy expert and neuromuscular specialist Dr. Mark Roberts from Manchester, U.K., will link rheumatology and neuromuscular medicine. 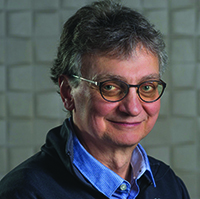 And the CRA’s own Dr. Gilles Boire from Sherbrooke, QC, will give the 2019 Dunlop-Dottridge Lecture. Registration opens soon! Old friends, new connections, important causes, Canadian content, and world-class opportunities in rheumatology await. Together, we can bridge any gap. I look forward to seeing you in Montreal. Bienvenue!